A Multi-tiered System Support (MTSS) is a school wide prevention framework that integrates assessment and intervention to maximize student academic achievement and pro-social behavior. Response To Intervention (RTI) and Positive Behavior Intervention Supports (PBIS) are examples of an MTSS framework. 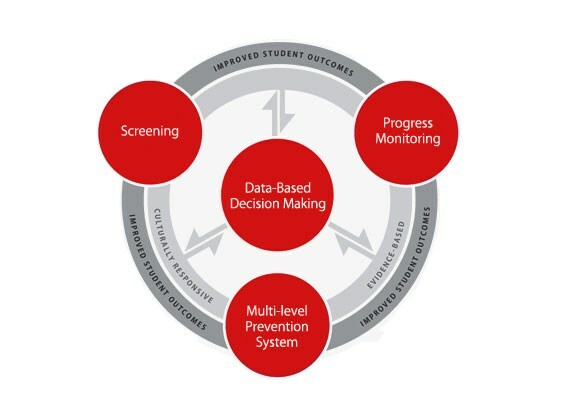 Uinta County School District #1 is implementing an MTSS system that proactively identifies students at risk for poor learning outcomes, monitors student progress, provides varying levels of support based on student need, and adjusts the intensity and nature of those interventions based on a student’s responsiveness. By utilizing an MTSS frame work to address the needs of learners in our district we will better realize our vision that all students will be prepared to meet the demands of 21st century citizenship, careers and post-secondary education. Dr. Tessie Rose Bailey provides an overview of the essential components of RTI.